Its $10 Or Less Tuesday and I am so exited to talk about the New Skin Kiss Makeup Revolution Highlighter collection that is sold exclusively at Ulta Beauty. $10 or less Tuesday is such a fun day for me as a beauty blogger. I truly love finding affordable makeup. Even if you have a bigger budget who doesn’t love a good find for less money?!!? I know I do! I grew up on drugstore makeup and even though I do love my higher end products sometimes drugstore products are just as good if not better! I love a good highlight especially when its a natural look, something I can wear daily or even layer for a bigger pop for a night out! As I swatched them they felt pretty good. I am not a fan instantly when a highlighter feels hard or gritty. Does that make sense? Anyone else feel this way? Honestly I think I am spoiled with BECCA Highlighters because those are like butter and if we are going to talk about favorite of all time they are BECCA for me. These are indeed soft. At first I was not sure if they seemed too glittery or chalky but as I swatched more and tried them on, they are not. It is indeed a nice glow that can be subtle for everyday or built up for a night out. These are finger swatches and I did not need to press hard for pigment. Makeup Revolution products are Buy 2 get 1 free at Ulta Beauty as of today 2/8/2017 SCORE!!!! Who’s going to pick these up? What do you think? Let me know in the comments below. Disclaimer: Some links associated with BPAMC are affiliate links. Thank You so much for your constant love and support to Beauty Products Are My Cardio! I was so excited when I received these products because I have been living for face oils. I have been eyeing the MAC Prep and Prime Essential Oils and Lip Scrubs ever since I heard MAC was coming out with them. The Chicago winters can be brutal on my skin and this year I have been more dry than ever. I’ve said it before and I will say it again having kids changes your skin, period. Its insane!!!! Okay moving on lol Lets talk these oils first! I was nervous to open these because I was hoping the scent was not going to be over powering because who wants that? Right?? Am I the only one? Well I am happy to report the smell is perfect! The fragrance is not strong at all, so perfect for us sensitive skin people. I am not going to lie I have tried these in so many ways as MAC suggested and I love them, love them love them! My favorite way to use this oil right now is to put a few drops in my moisturizer for the day. It leaves me with an extra glow on top of extra hydration which I need right now! I have used it alone at night on those extra dry skin days, I have used this on my lips and have used before makeup application. This oil is now a winter staple for me and I have considered purchasing the Prep and Prime Oil Stick as well. I know the price may seem like a lot for such a small bottle but when a product is versatile I consider that a beauty investment and that is a win in my book. When I tried this oil on my lips it was after I used the Lip Scrub and I just felt like I gave my lips a facial. I loved it! Just like the oils I absolutely loved these scrubs and I will tell you why. The biggest stand out about the Lip Scrumptious line is they leave your lips hydrated and silky feeling. If you are new to lip scrubs and/or have never tried, some scrubs tend to leave your lips with that dry and chapped feeling. Does that make sense? Who else experiences this? But these 100% do not! Since we are talking about MAC Prep & Prime I have to make a couple honorable mentions to two other products. Both of these products are very hyped up buy for a good reason. Fix + is a staple spray for me and I use it before makeup, after makeup, I’ve sprayed my beauty sponge with it and sprayed to my eye shadow brushes for a more intense look. Its a product I 100% can not live without (it also comes in a sized to go, so perfect for trying out the product!) The Prep and Prime Lip does wonders for when I am going to rock a red lip. It claims to approves the appearance of lip products and prevents feathering and it really does. I hope you enjoyed this review! Let me know if you have tried any of these and what you are liking or disliking about them. 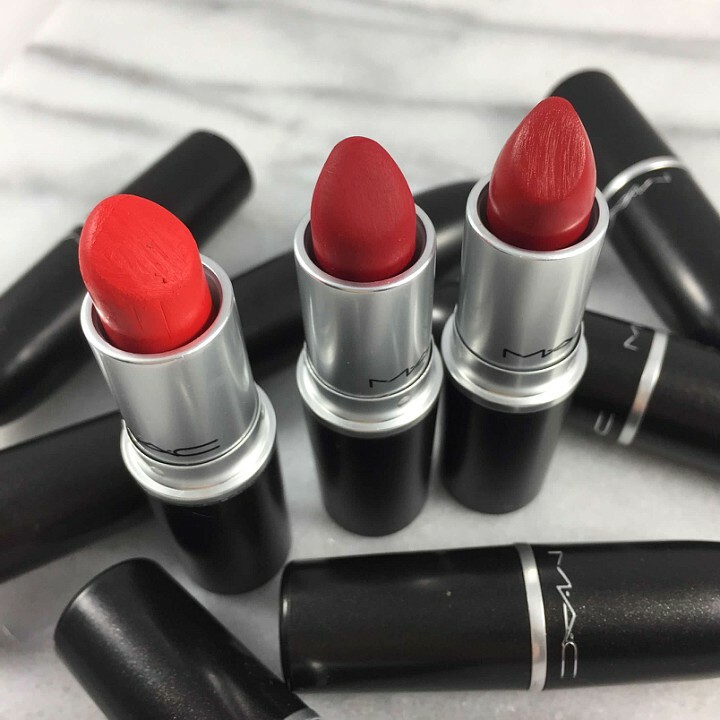 WANT MORE MAC COSMETICS POSTS? 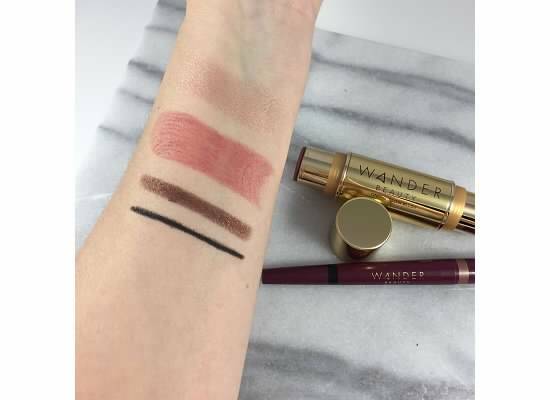 If you travel or are a woman on the go Wander Beauty is a brand you need in your life. The brand promotes their products as Multitasking Beauty Essentials, Makeup in a snap and ready in a New York Minute. How fabulous does that sound??? This was so appealing to me being a Mom of two and to be honest with you I normally do my makeup on the train to work or I have literally 5-10 minutes in the morning to get it done. Having easy yet effective products on hand are key for my everyday beauty routine. I had the pleasure to test out two products that were sent to my by Wander Beauty. Even the names of the products give off the multitasking vibes and I love it!! WANDER BEAUTY ON-THE-GLOW BLUSH AND ILLUMINATOR (per the wander beauty site): The On-the-Glow Blush and Illuminator is a multitasking beauty enhancer that adds gorgeous color and luminous sheen to every complexion. The highlighter gives a gorgeous natural everyday glow to the skin. It was creamy and easy to blend with my fingers. I wasn’t able to blend the blush shade as well with my fingers but I used my small Elf Stippling brush and it worked well. Any product that I can use my fingers with is a win in my book especially when I am on the go. Lets not forget the beautiful gold compact packaging that makes it so easy to throw in a smaller size makeup bag. Eyes on the Fly Dual Cream Shadow and Eyeliner(per the Wander Beauty website):A dual-ended, highly-pigmented creamy shadow and smoky eyeliner stick created for easy application and long-lasting, instant eye looks on the go. This Eye on the fly pencil is just perfect. The products glide on like butter and the bronze shade is perfect for everyday and multiple looks. I took this with me when I traveled to California as bronze/gold tones are my everyday makeup looks for both night and day. You can keep them natural for day and build for a more dramatic look for night (especially when the eyeliner is built right in!) I love stick eye shadows because they are compact and easy to just place on the lid and blend with your fingers. I have tried this with both a primer and without. It blends better without a primer on but we all know eye primer is key for product longevity. I have been using it for my quick makeup routine in the mornings and its just fab! The Eye on the fly duo is the standout product for me of the two! Have you tried Wander Beauty? Does this sound like a brand you would be interested in? Let me know in the comments. Oh and what are you must have easy on the go products? I am always on the hunt for more!!! *Wander Beauty generously sent me these products for review. As always my opinions are my own and honest. Some links associated with Beauty Products Are My Cardio may be affiliate links. Thank you so much for your constant love and support! My love for Red Lipstick is pretty recent considering my beauty obsessed life started years and years ago. I would say probably in the last year, so recent right???? I always felt I was one of those people who could not pull off the color. But once I discovered Lady Danger everything changed. I started wearing it for fancy nights out with an all over bronzed makeup look and just fell in love! 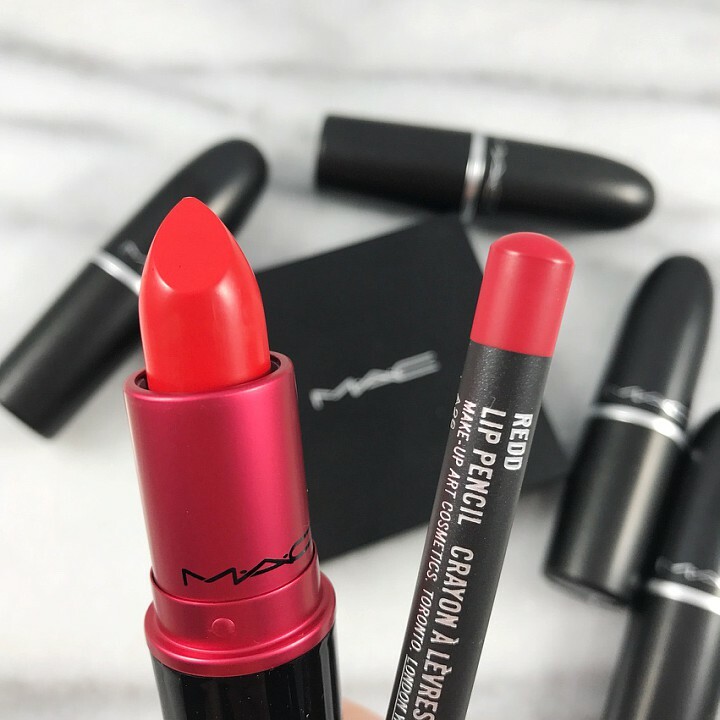 For me when I hear MAC Red Lipstick, I just think Lady Danger but ooooh boy there are SO MANY MAC Red Lipstick options. 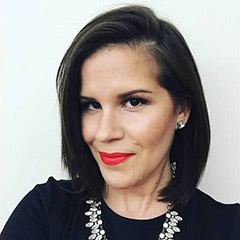 Allure Magazine has been my beauty bible for almost 20 years. It has shaped my beauty routine, filled my makeup storage with allure best of beauty products, and a magazine subscription I look forward to monthly. So when I read their article on The Best Red Lipsticks of All Time, my obsession for Red Lipstick grew stronger. 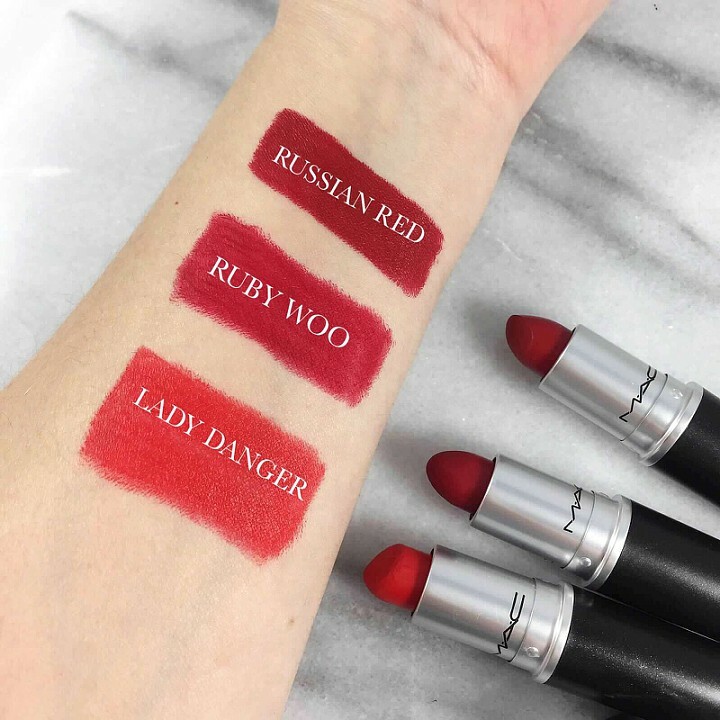 They declared Russian Red, Ruby Woo & Lady Danger as “The MAC Holy Trinity” and this is the reason I just had to have all three in my collection! You will see they are three very different red tones and absolute perfection. 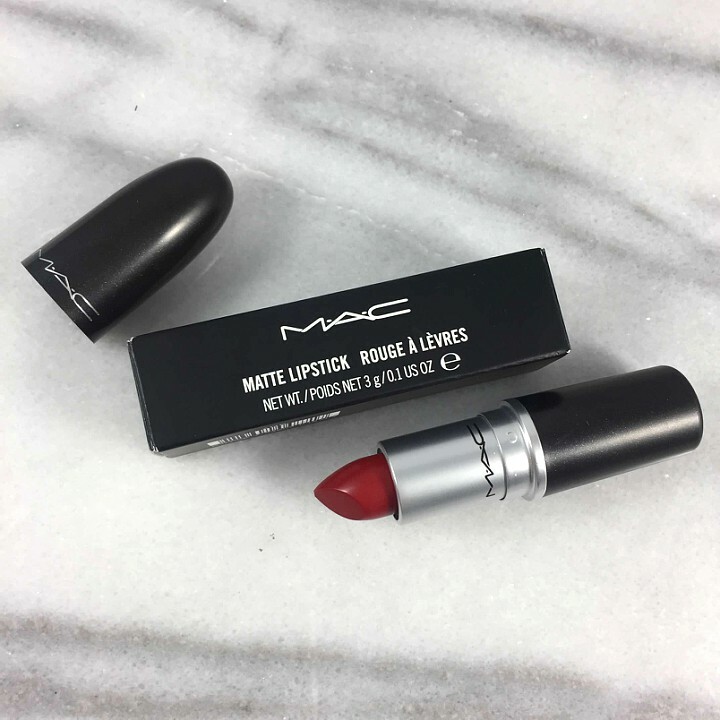 This most certainly is a deeper truer red on my lips and I am excited to have this for the winter months. When they say very matte it indeed is very matte. I find it best to exfoliate first (I’m obsessing over the new MAC Lip Scrubs) and I use my MAC PrepNPrime and it lasts forever and does not get chunky or dry. I could not agree more with this description. The orange that pops from this lipstick is STUNNING and it indeed looks fabulous on all skin tones. I prefer this one for the summer with a tan and bronzed makeup look but I have rocked it in the dead of winter! Its just my absolute go to Red Lipstick! What do you think of this “MAC Holy Trinity” Do you own any of them? 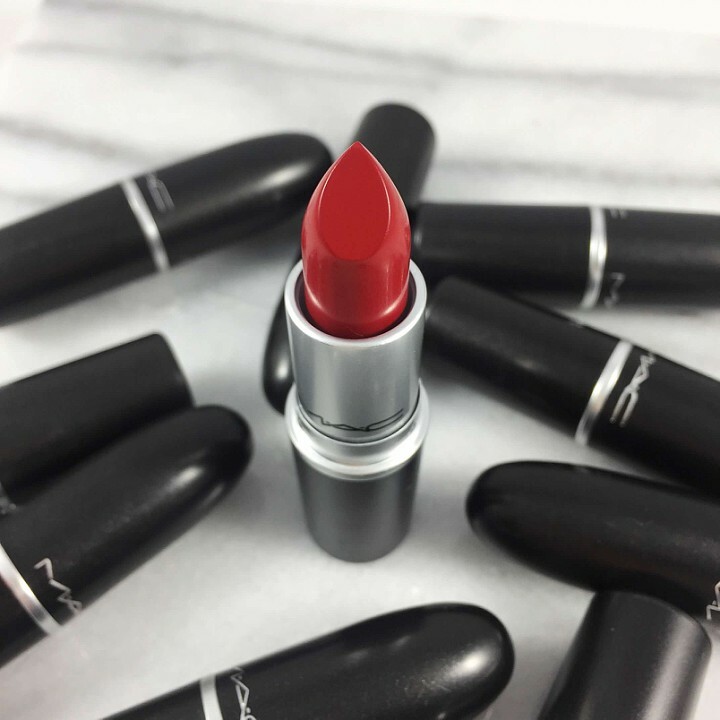 What is your go to MAC Red Lipstick? I am ready to buy more!!!!! DISCLAIMER: Some links associated with BPAMC are affiliate links. Thank You so much for all of your support to Beauty Products Are My Cardio.